Thanks to a recent price cut, The iOS version of Mega Man X effortlessly climbed the paid application charts this weekend. 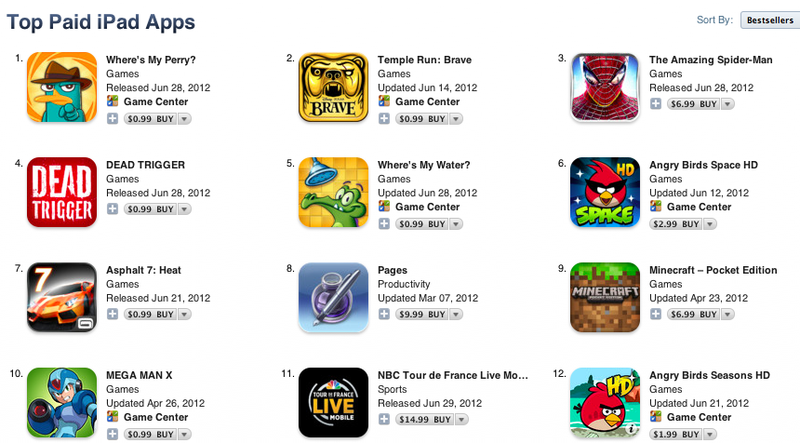 As of this writing, the game rests at #7 on the top paid iPhone apps, and #10 on the top paid iPad apps. Quality port or not, that's pretty spectacular. 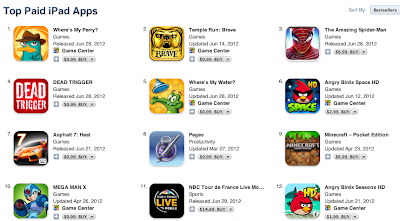 I mean, do you know how long it's been since any X game made it on a top ten of any sort? Like, years. Yeah it's a bit sad but, hey, at least the series is getting some mainstream exposure. Mega Man X's price cut (down from 4.99 to 0.99) lasts until July 4th, so there's still some time to see it fluctuate a bit. Regardless, I bet Capcom's mighty happy right about now. Mega Man X2 for iOS, anyone? Okay, this didn't shoot up the ranks by being a "crappy port". No, it's not EXACTLY THE SAME as the SNES version, but it's still a good game, well done. "Instead of just moaning and criticizing from the sidelines without having even tried it yourself to base an opinion on, why not just get it now and give it a shot? Seriously, you'd blow that dollar on smokes or fast food, or anything else and not even notice it was gone anyway. Maybe you'll like it, mabe you won't, but why not get something you'll remember afterwards?" I would assume it leads simply by comparison to other iPhone games. THANK YOU, Cucumber! I actually found the game to be wonderful. I loved the old SNES version and def loved Maverick Hunter X, but I found little to no fault in the iphone's version. Sure the controls are a little weird, but not that bad at all. It's a fun, easy game (if you put the settings that way. mwuahahah) and just an enjoyable way to pass some free time. I think they did a great job and will wait eagerly and hopefully for more X games for the phone. Hope you read this Capcom, we're counting on you! This had better not be the one with the really bad, choppy animations. >:C That can rot in hell, no matter how much it costs.